Made by four immigrants on zero budget, we wanted to give the world a chance to have some fun with the ridiculousness of President Donal Trump. With no background in coding or design, we started off our most ambitious project in making this website. 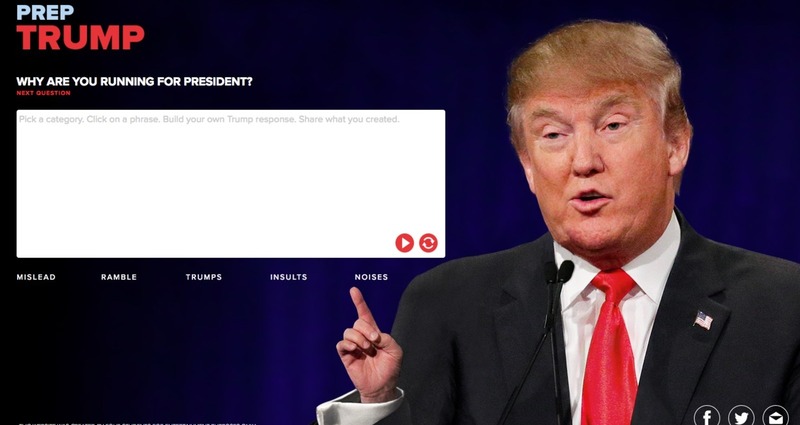 We built a website where you could build your own Trump's speech, all with his laughs and noises. It was shortly after this, that the interactive website LovetrumpsHate went viral. We'd like to this we were an inspiration to them.